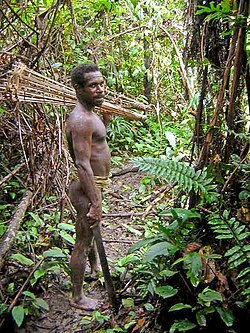 The Korowai, an aa cried the Kolufo, are a fowk o sootheastern Wast Papua – that is, in the Indonesie Province o Papua, close tae the border wi Papua New Guinea). Thay nummer aboot 3,000. ↑ "Korowai in Indonesia". PeopleGroup.org. Retrieved 2014-09-24. This page wis last eeditit on 4 Dizember 2016, at 15:38.